Coming from South to North on the Wild Atlantic Way, Bundoran’s Tullan Strand is an incredible spot to be the first discovery point you will meet in County Donegal. Tullan Strand is a glorious golden beach that surfers flock to when the waves are high located on the Donegal coast in Bundoran. You can stop for a visit to check out the Wishing Chair at Bundoran along with the world famous Fairy Bridges. 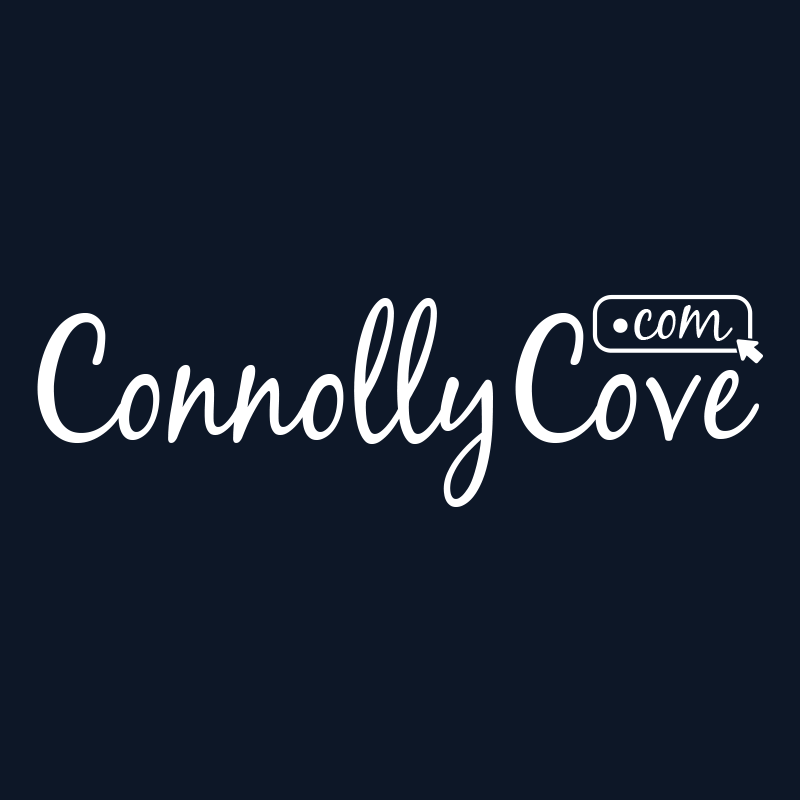 Bundoran’s oldest tourist attraction that has been attracting visitors since the 19th century. It’s now well and truly thriving in the 21st Century with its own staff and a Trip Advisor Certificate of Excellence. The Fairy Bridges, Bundoran. Photo by Caleb Jackson. Consisting of sea stacks that are hundreds of years old, Fairy Bridges were the area’s original tourist attraction way back in the 19th century. Long before then, However, it’s believed that as far back as the 1700s locals thought these to be haunted by the fairies with the result of the name ‘The Fairy Bridges’. With magical scenic views all around, you can see back into Mullaghmore, County Sligo and across Donegal Bay to the magical Slieve League Cliffs. Take a seat in the Wishing Chair, a natural formation overlooking the Atlantic Ocean. You may not find the rock formations themselves that exciting, but the views are spectacular and offer plenty of memorable photos. 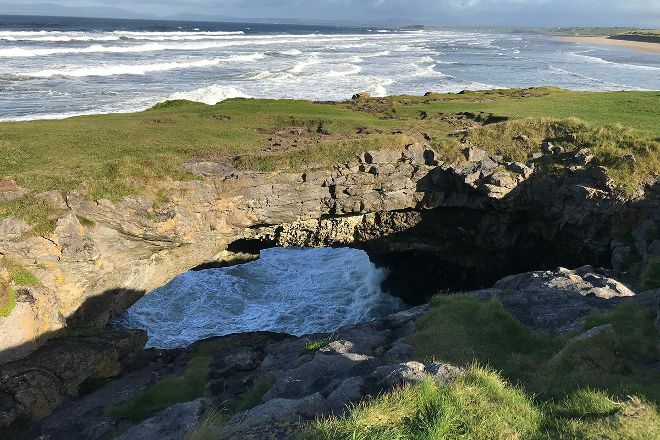 With some fine planning, Bundoran attractions like Fairy Bridges can be centre stage of your vacation plans, and you can find out about other attractions like it, unlike it, near it, and miles away. Many of the (famous) visitors to the area also got the chance to take a seat on Bundoran’s Wishing Chair. The Chair has a stunning view as it overlooks the Wild Atlantic Ocean – from famous poets to public figures and politicians – they’re all believed to have sat in Bundoran’s famous Wishing Chair. Legend says that the Chair has magical powers and it must not be disrupted at any cost. Wishers are advised to sit down slowly holding on to both “arms” of the chair (not tangible arms) and then pause for at least 15 seconds to take in the beautiful scenery that surrounds them: Donegal Bay to their left, Tullan Strand straight ahead and the Dartry Mountains to the right. Before making any wish, people must take some time to contemplate the moments that made them reach this point. Then make their wish in silence and keep it as private as possible in order to increase the chances of it coming true. Finally, it is believed that tapping the seat twice as you get up will give your final commitment that your wish is a genuine one. Back in 1944, a tragedy happened at the Fairy Bridges: the crash of a Halifax plane heading for the Donegal Corridor. A monument to the Halifax crash can be seen today at Tullan Strand. A reminder of all that WWII brought to Europe and how Canadians were impacted. Bundoran’s Fairy Bridges has been named in the Irish Independent’s Ireland’s Top 10 Hidden Gems as part of a reader’s poll of the Irish Independent in their annual reader travel awards. That comes as no surprise as the Fairy Bridges have been popular with tourists for many years and can be visited free of charge all year round. 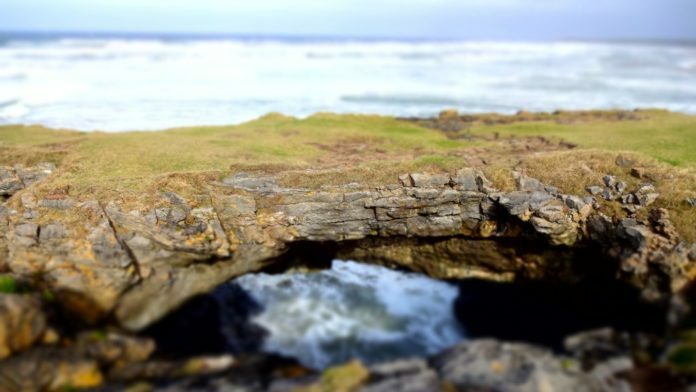 Have you ever visited the Fairy Bridges in the much loved seaside town of Bundoran? We would love to hear any experiences you have! 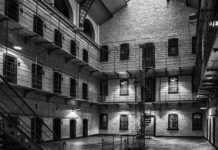 Ireland's hidden gems discovered! 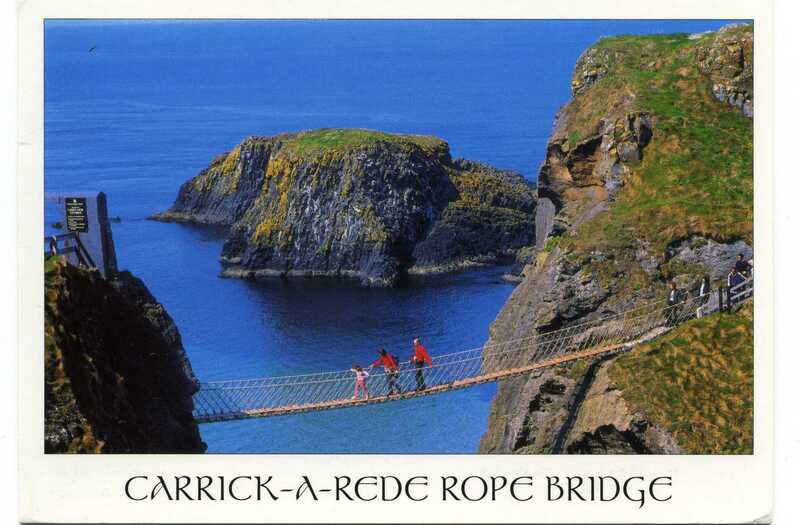 Check out Fairy Bridges: The Most Splendid Attraction in County Donegal that'll make you want to visit.